The Island of Taiwan was briefly under Dutch colonial rule in the 17th century, after which it was annexed by Coxinga, a powerful naval warlord who wanted to use it as a base to help the Ming resist the invading Qing. Coxinga was in turn defeated by the Qing troops, after which the Qing decided to colonize the island to prevent it from being used as a base for further attacks to China. 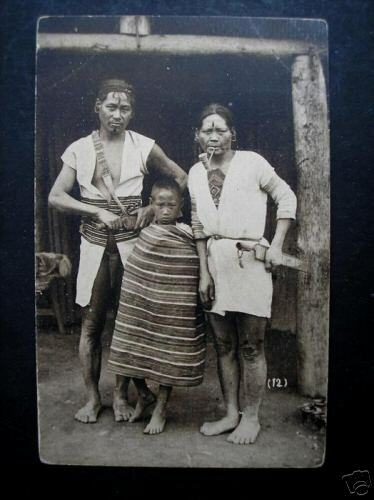 Taiwan has been home to several indigenous people, among them the Paiwan of the south, the Atayal of the highlands, and the Pingpu of the western plains of the island. 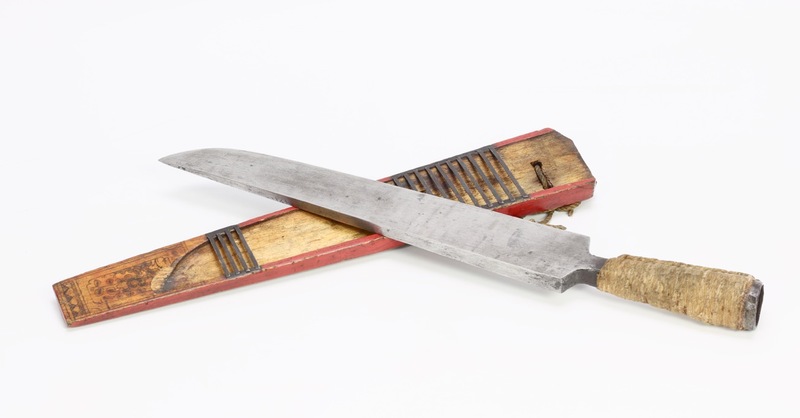 Of these, the Pingpu almost completely assimilated into Chinese culture by the 19th century, losing their own language and much of their culture. 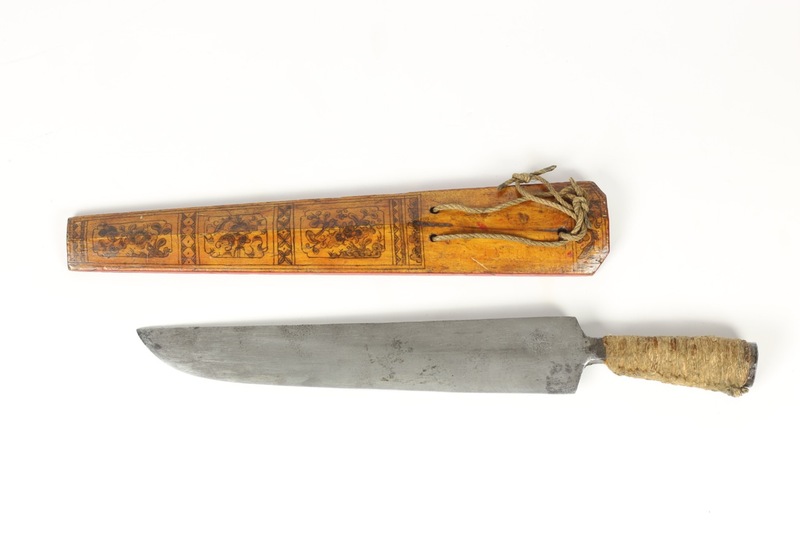 Most of the indigenous people of Taiwan carried large all-purpose knives that was used for daily chores as well as warfare. Those of the north were often curved, while those of the middle and southern parts of the island were often straight. 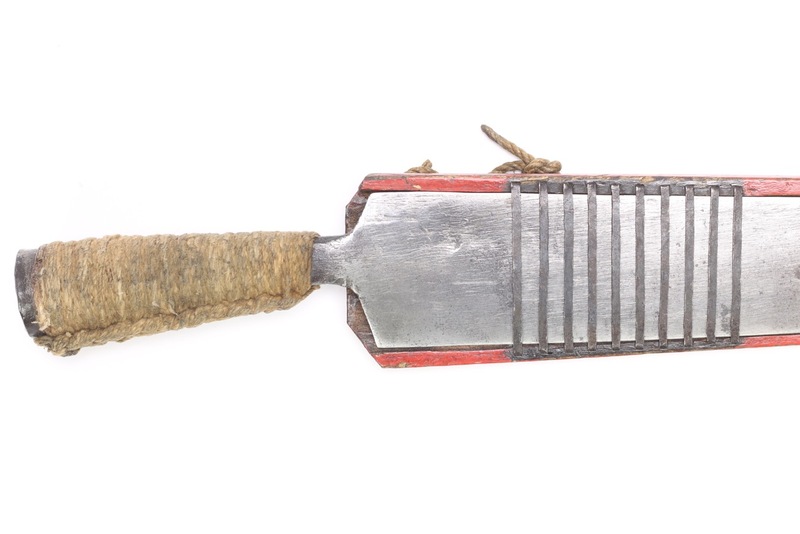 Each tribe had slightly different styles of blade, handle, and decoration to tell them apart. 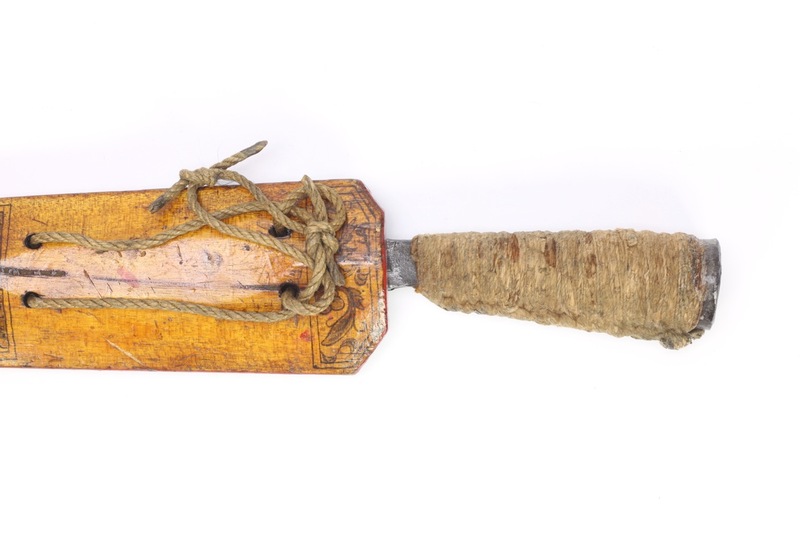 A massive Taiwanese knife with characteristic socket handle and open scabbard. 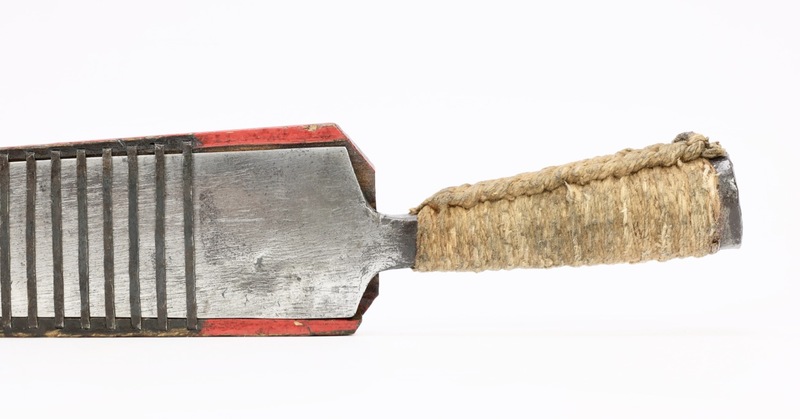 The handle is forged in one piece with the blade, and wrapped with plant fiber cord for improved grip. 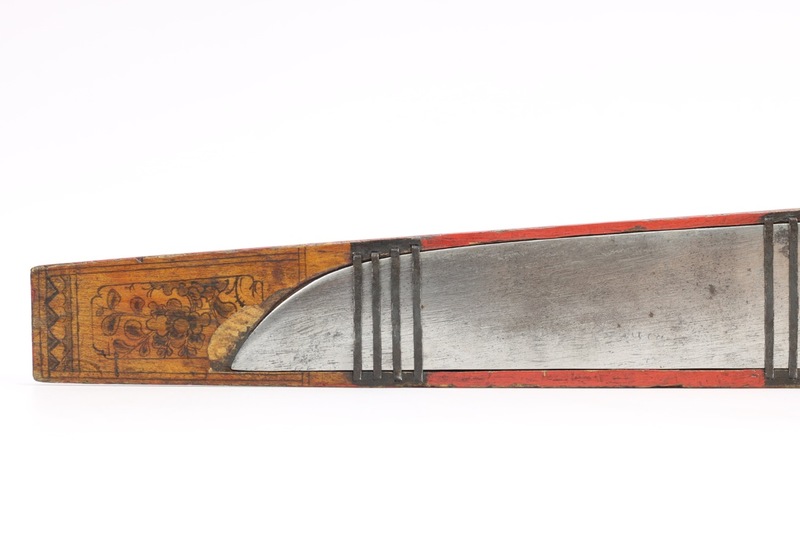 The blade is fat and straight, showing some southern Chinese influence in overall form. 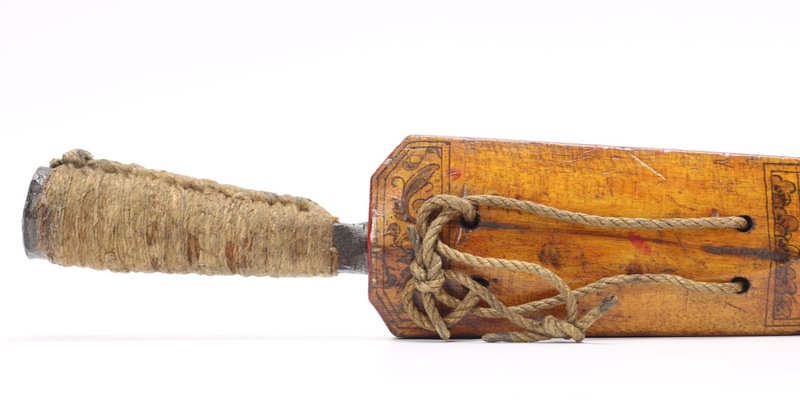 The open scabbard is painted red on the open side, and with designs of coins on the back side. 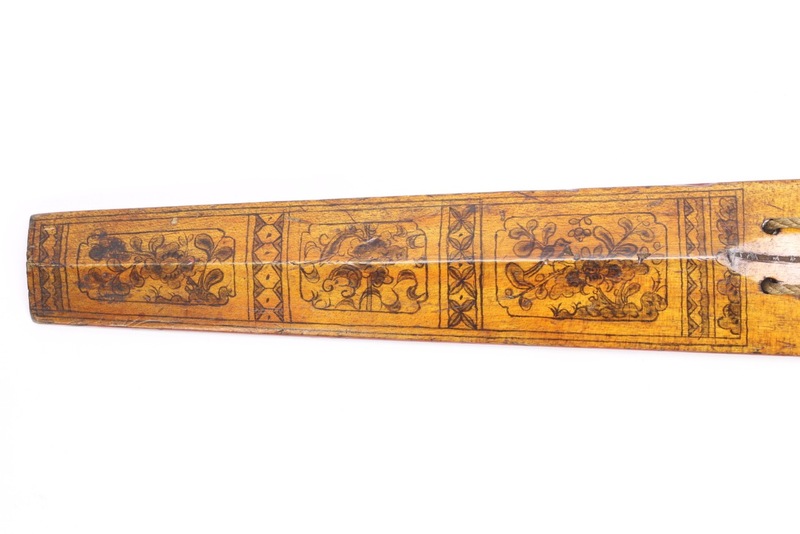 This decor is characteristic of the Pingpu, who of all the aborigines were perhaps the most influenced by the Chinese. 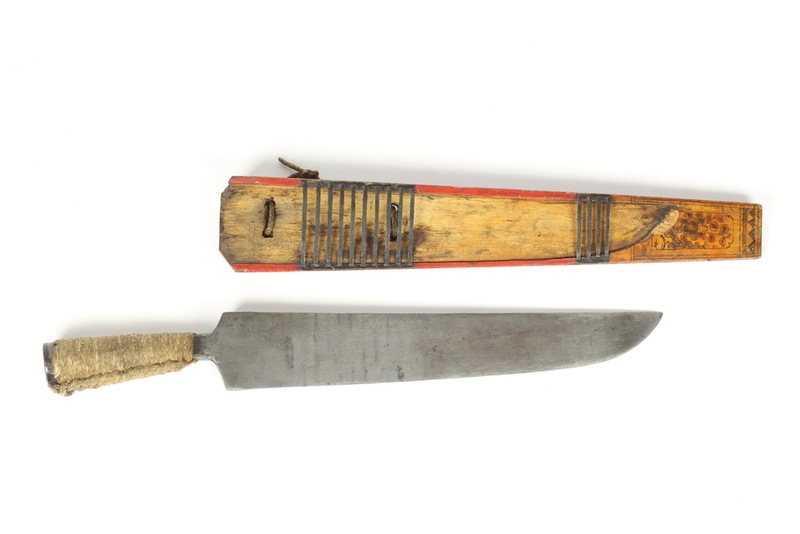 Taiwanese aborigines wearing very similar knives. Date and potographer unknown. 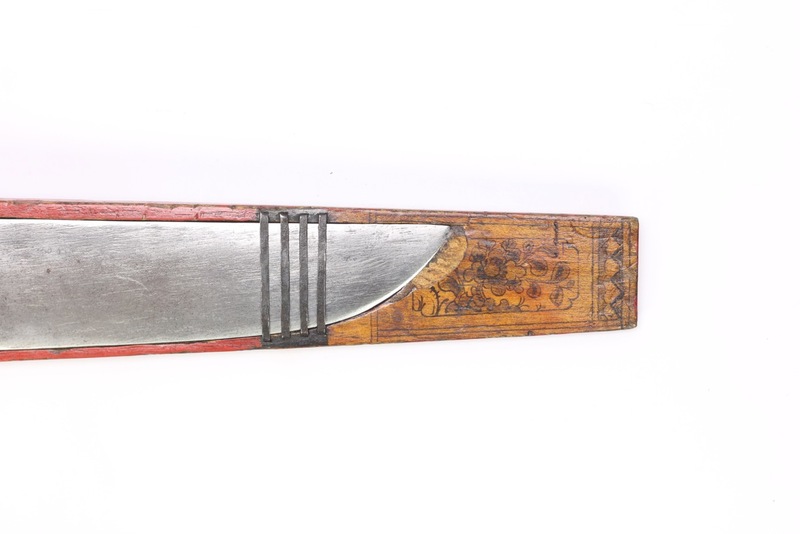 A very rare and massive knife of the Pingpu culture, a culture that all but vanished due to assimilation.